Tired of continuously missing out on great offers in stores? We’ve been there. Being classic Singaporeans, we all love a good sale, a mini discount somewhere, and hopefully a sliver of cash rebate using certain cards. Especially for trend followers, they are always on the lookout for limited offers. The market for online shopping has grown significantly in recent years, where cheap thrills and frequent limited time sales have gathered a huge following on websites like ASOS, Qoo10 and local blogshops. The issue is, most major brands here don’t offer the luxury of such convenience, and international websites usually exclude Singapore from the list of countries applicable for worldwide delivery or purchase. As time went by, we wondered if our cosmopolitan state was ever going to get a headstart. 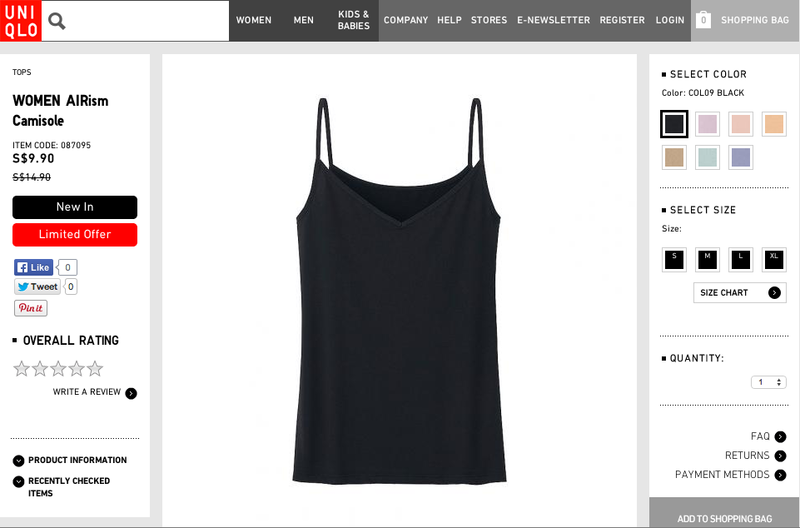 Finally, someone has seen the light, as Uniqlo decided to launch its brand new online shopping app for the first time in South East Asia, right here, in our humble red dot. Yes, we may be small, but we love the idea of convenience just like everyone else! 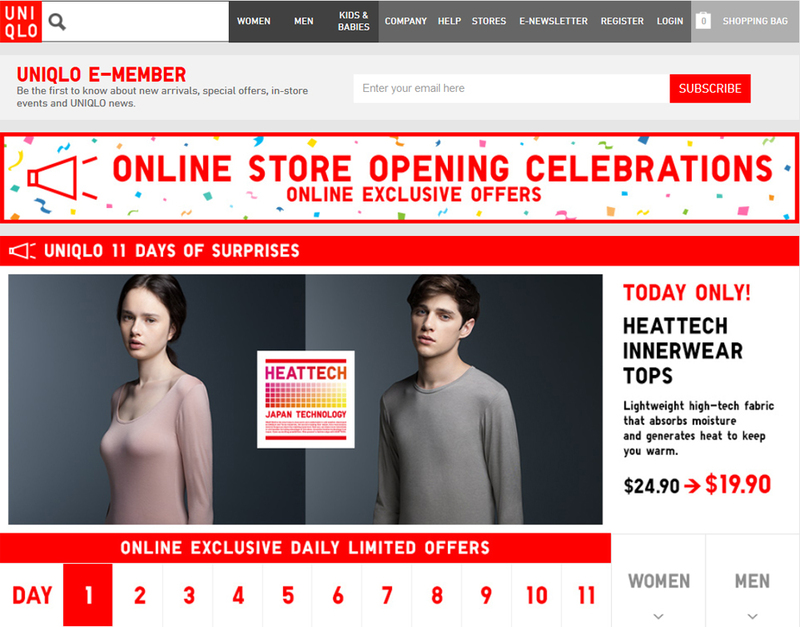 Now, at the touch of your fingertips, you can check out Uniqlo’s latest offers and new items on their season’s catalogue. The best thing of all, simply click to add it to your shopping cart, purchase and have it delivered directly to your doorstep within 1-3 working days. Adopting an all-in-one styled app, the front page greets you with its bold red and white theme colours, where you will find the latest news and announcements on moving panels, that directly links you to the online store. Clicking on the link leads to the website, which functions similarly to the desktop version, making it convenient for those who interchange between the two. Tabs such as digital flyers, news topics, mobile vouchers and limited offers are housed in cubes right below. 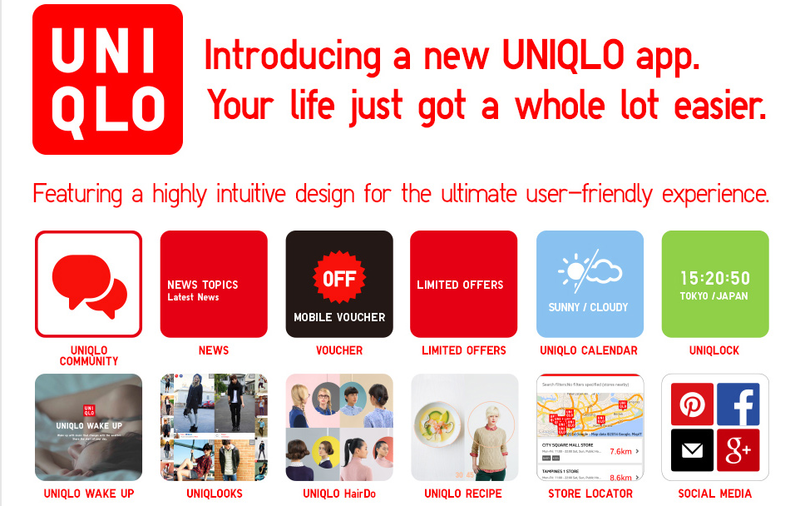 Swipe to the left, and you will be entertained by Uniqlo Life Tools, which consists of a variety of lifestyle apps, such as; Uniqlock, Uniqlo Calender, Uniqlo HairDo, Uniqlo Recipe, Uniqlo Wake Up and Uniqlooks. Click on any of them, and you will be directed to download the individual apps from the App Store on IOS devices, or the Google Play Store on Android devices. Get connected with their community on the links to their Facebook, Google+, Pinterest, or even sign up for their newsletter. Swipe to the extreme right, and it will lead you to the nearest stores in the vicinity based on your current location. Not only do they provide information on each store’s opening hours, they have attached tags like, “Kids”, “Baby” and “Large Store” for the allocated outlets, which helps cater to different consumer needs. You may also make use of their search bar to filter out various stores. The online store itself features products from their entire catalogue and are kept up to date, and what I like about it is that they provide image views from every angle possible or close up of the clothes’ details. A size chart is also included, which always comes in handy for those who are concerned about buying the wrong size. After browsing through the app, I found it rather easy to navigate, as there are only 3 pages, but each is separated into neatly arranged sections. The online store is displayed in a clear-cut manner, where items are neatly presented. Being able to zoom in is a great feature, so those having eyesight problems have no need to squint or worry about mistaking prices. The user interface is great for those who are virgin online shoppers, making it a smooth experience for all. The best thing about Uniqlo incorporating their online store into an app is that it makes the shopping experience a whole lot easier. Consumers can easily access it at any time of the day, browse through the latest collections, and be informed of any limited offers that come in. Never again do you have to miss out on a sale, and you won’t have to hop to other outlets just to hunt for the size you require. As all Uniqlo fans know, the store is bound to have an offer on every item in store – it’s just a matter of when. Their return policy is less to be desired though. On a whole, it is flexible to a certain extent, since they allow returns within 30 days after purchase, but due to the fact that they deduct $6 as return fee from your refund amount, which excludes the shipping and handling fees, sure sounds like a bit of a rip-off in my opinion. On the customer’s part, it could prove to be troublesome as well, as you need to liaise with their customer center, attain a printout label sticker, before bringing the package to the post office or POPstation. 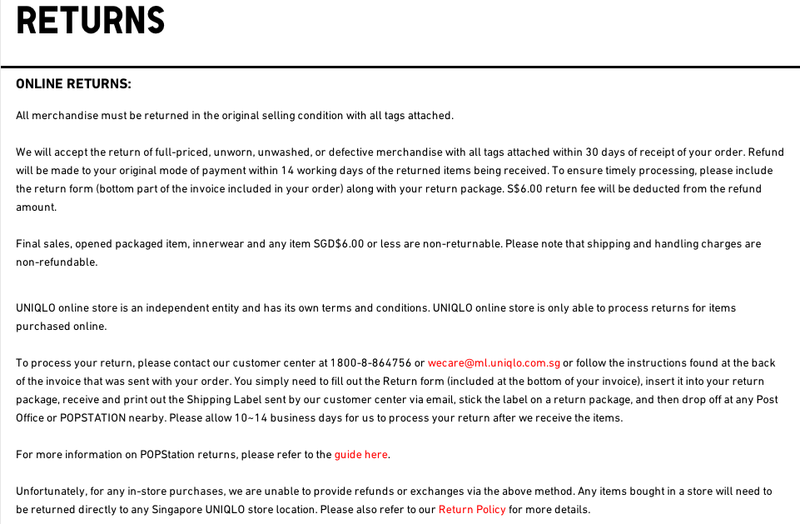 I’d much rather get my refund, return or exchange at the nearest Uniqlo store since it is so readily accessible, but due to the Uniqlo online store being an independent entity, it isn’t possible to do so. 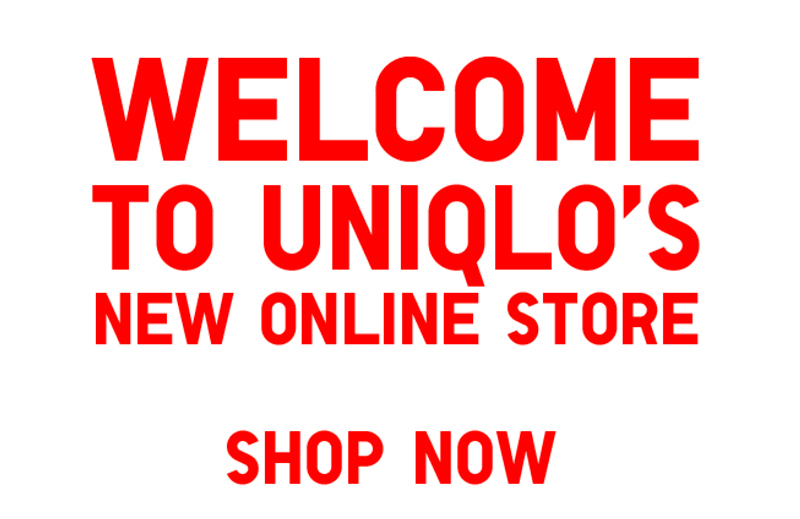 For loyal fans of Uniqlo, choosing to buy clothes online instead of heading to the stores will prove to be a breeze, since they already have knowledge of the product they’ve been looking out for. Sometimes, it’s just the sheer excitement of ordering items online and receiving it like a gift parcel for yourself. The app itself works brilliantly so far without any bug or glitch, so you can be rest assured your transaction is likely to end smoothly. However, the truth is – Singapore is so tiny, every shopping spree you go on will most likely involve passing by Uniqlo, so in the near future; the majority might still opt for buying clothing on the spot. Personally, I would shop for limited offers online so as to secure my order, but I would rather visit the store for normal priced items and slowly browse. It all depends on individual preferences for the ideal experience. Seeing how Uniqlo Singapore’s Managing Director, Satoshi Onoguchi mentioned in an a press release, “Being the region’s commercial hub, Singapore is our ideal spring board to introduce E-commerce across South East Asia in the near future, including as Malaysia, Indonesia and Thailand”, we may one day see a growing trend in other major brands opening its doors for online shopping right here. 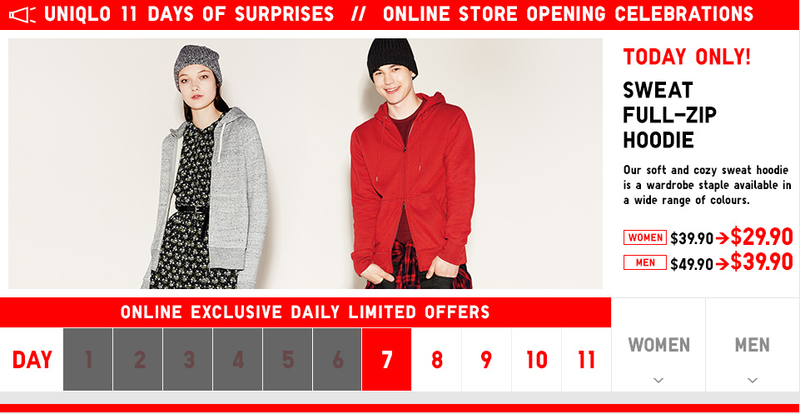 Celebrate the opening of Uniqlo’s Online Store with 11 days of different limited offers, one valid for each day. What’s even better? There’s free delivery on every order above $80 for a limited time only. Not to forget, refer a friend from now till the 14th of September, get them to download the app, and a $5 gift voucher is yours to spend!